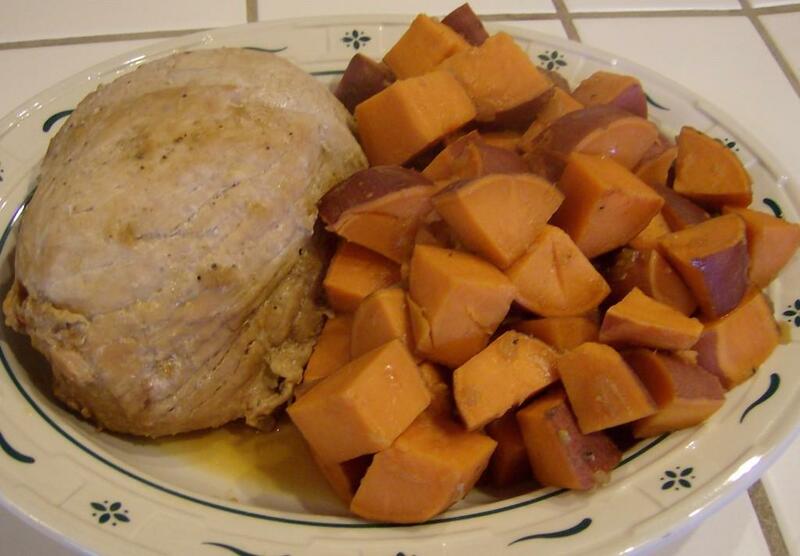 Yams and sweet potatoes are very versatile. You can use them in place of pumpkins for desserts, or substitute them for potatoes in any of your dinner recipes. 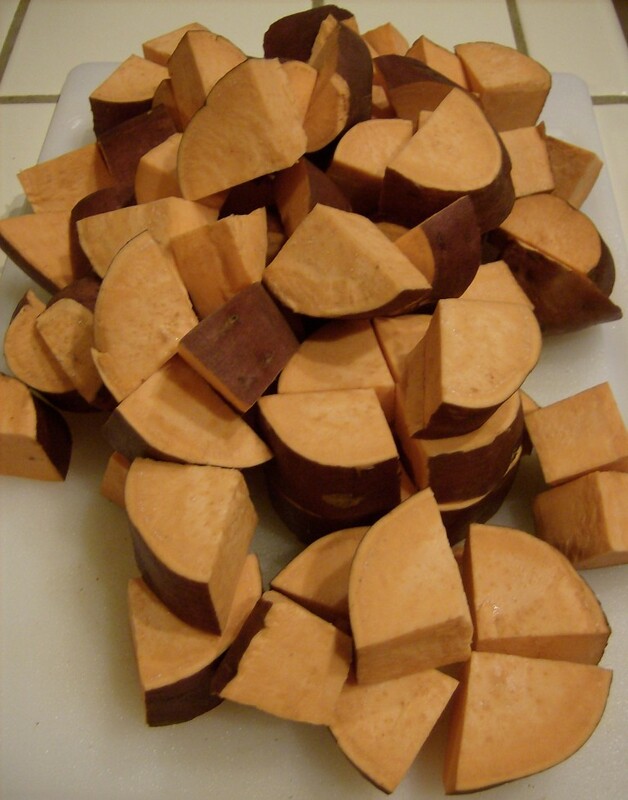 For this recipe, I used garnet yams, but any variety will work. I don’t peel the skin before I chop the yams. There are extra nutrients in it, plus it saves time. My favorite cut of meat is the one that is on sale! You can use any type of pork roast that you wish. Add a splash of olive oil to a Dutch oven or large, oven safe pot. Add onions and pork roast and brown both sides over a medium-high flame. While the meat is browning, mix water, soy sauce, sugar, and spices in a small bowl. Once the meat is browned, pour the liquid over the meat. Place lid on pot and place in oven. Cook for 1 hour. 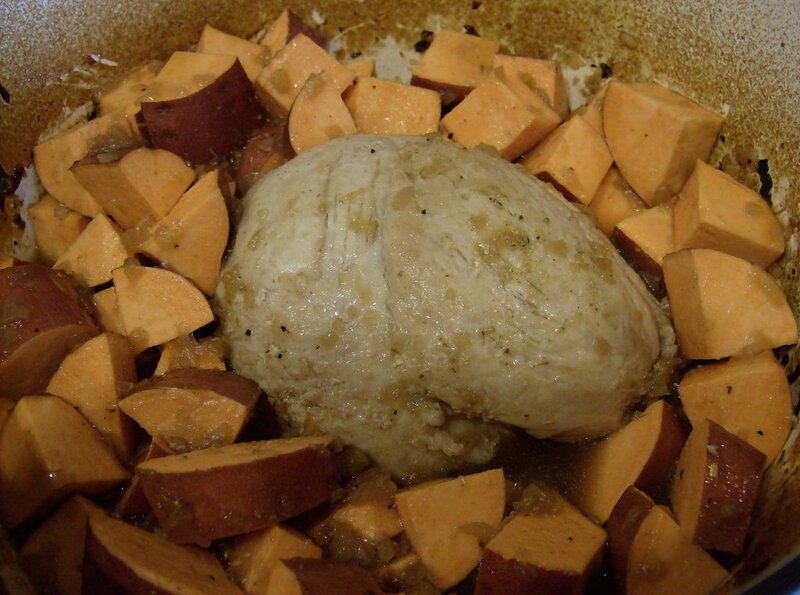 Add the cut yams to the pot and use a baster to coat them with the sauce. Place lid back on pot and cook for an additional 30 minutes or until the roast reaches an internal temperature of 160 degrees. I love yams! They combine so nicely with pork, don’t they? I bet this recipe would be awesome with a few dried cranberries sprinkled in the sauce. Thanks for the great post! It’s fall! Just baked some sweet potatoes last night to go with some bread crumb topped fish. They are so good–and so good for you! I assume this is 1/4 CUP of soysauce? Yes, it is 1/4 cup soy sauce. I have edited the recipe to make that change. Thanks for pointing it out.